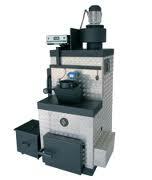 Lopper:The Best-Built, Most Advanced, Lambda Controlled Wood Gasification Boiler On The Planet! Welcome to Lopper North America, where we are pleased to offer the finest wood, pellet, and chip gasification boilers for both residential and commercial applications. For over 30 years the Lopper Kesselbau Company, located in the lower Bavaria region of Germany, has pioneered and led the industry in the refinement of extremely efficient, and robustly crafted, biomass boilers that are built to last. 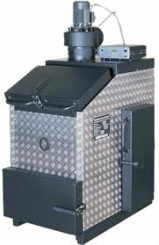 With models capable of efficiently combusting cord-wood, wood-chips, or wood pellets with an outputs ranging from 35,000 to 2,800,000 BTU's, there is a Lopper Boiler available to correctly match most any heating requirement. Now proudly offered right here in North America! Note: Only the Drummer 35 Cordwood boiler is available for sale in the United States effective 1/1/2016. control and adjust primary & secondary air flows. -Modulates output to best match system load requirements. 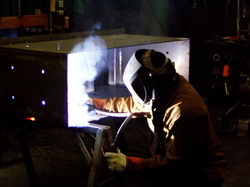 - The heaviest-duty steel boiler offered in North America. - Prevents thermal shock and condensing. Easy To Operate and Maintain! Call today to discuss your project with our experience Sales Engineers and learn all the benefits a Lopper Boiler can provide you! !